Picky pizza lovers in the Fort Myers-Naples area are in luck! 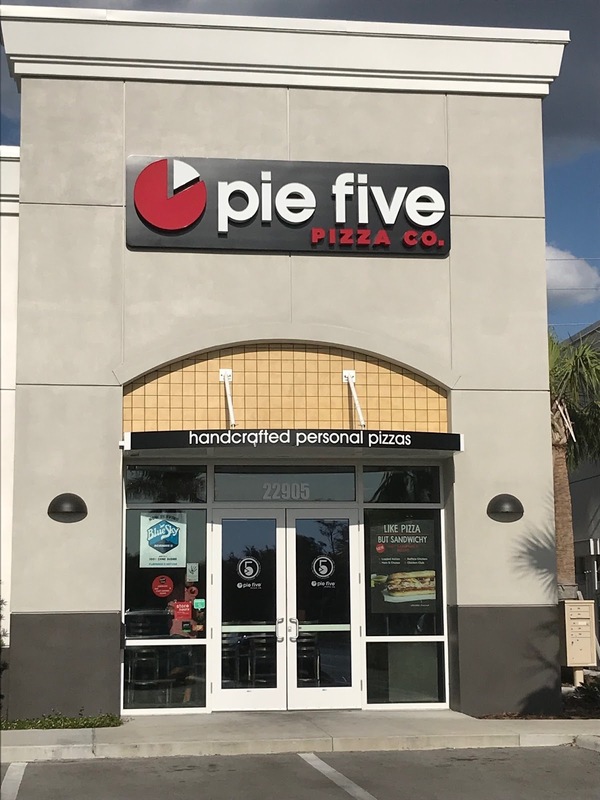 Dallas-based Pie Five Pizza Co., known for its customizable craft pizzas, is now available in Estero, Florida across from Coconut Point Mall. It is the second Pie Five location in the Sunshine State. Similar to a Subway sandwich line concept or Chipotle-type setup, you build out your order how you'd like it and see it assembled right in front of you for a handcrafted individual pizza made to order in less than five minutes. You start by picking your type of crust (crispy artisan thin, classic pan, traditional Italian, gluten-free and cauliflower crust), and then between seven sauces. Next, select from more than 40 fresh, hand-cut veggies and artisan toppings, followed by a fresh finish seasoning like basil, red pepper or Magic Dust, which is parmesan, provolone, romano and Italian seasoning. I had magic dust put on each! They also have suggested combos available too. I really liked the Chicken Carbonara (alfredo sauce) and the meat-lovers High-Five (marinara sauce) pizzas. Gluten-Free Cauliflower Crust at Pie Five Piza Co. Allergies: Pie Five also accommodates dietary restrictions by offering gluten-free crust and vegan cheese options. As for drinks, we were happy to see brewed ice teas and Blue Sky Soda, which is made with real cane sugar instead of corn syrup or artificial sweeteners. The black cherry flavor is awesome. $avings TIP: Join their Circle of Crust rewards program to earn points for every purchase of pizza or large salad. Members even get a free pizza on their half birthday! 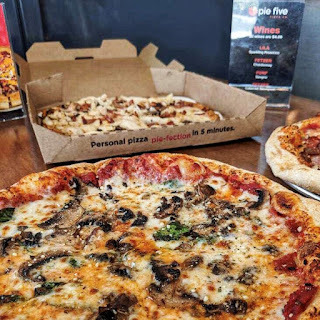 Have you been to a Pie Five Pizza? 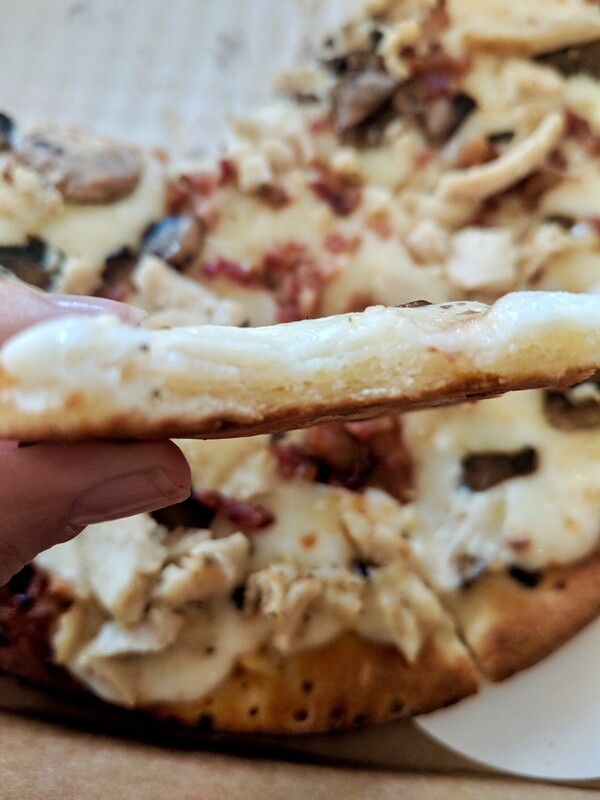 What's your favorite style of pizza to order?